Performance evaluations, identifying problems, determination of prospects and priorities for the development – were the key issues of the 9th International Scientific-Practical Conference “Composite materials: production, application, market trends”, which was held on the 30th of November in Moscow. The event commissioned by the Ministry of Industry and Trade of the Russian Federation was organized and conducted with the support of the Union of Composites Manufacturers, as usual, towards the end of the year – the time to gather information and to look back over the achievements. The conference was attended by the representatives of the Ministry of Industry and Trade of the Russian Federation; Moscow Oblast Government; the Department of Science, Industrial Policy and Entrepreneurship in Moscow; CCU “Agency for Economic development of Leningrad Oblast”; Association of Legal Entities “Composites Manufacturers Union”; infrastructure monopolies and state-owned companies; representatives of scientific and educational institutions, as well as manufacturers of precursors, finished composite products, equipment, and software. the necessity to phase out of import, both precursors and finished products, while improving the competitiveness of Russian composite products in domestic and international markets. The speakers outlined a range of problems in the industry, arising from the inaccessibility of credit resources against the background of continuous rise in the cost of imported components used for the production; inadequate demand incentives for domestic products; virtually untapped potential of the regions, which have tax breaks and incentives for residents but they don’t know or use them in full. The representatives also mentioned that the Department of Metallurgy and Materials responsible for the development of the composite industry was established in the Ministry of Industry and Trade in June of 2015. The Union of Composites Manufacturers took a decision to start making cooperation agreements with the entities of the Russian Federation focusing on the communication chains between authorities and business, bringing complete and, above all, timely information about the incentives and opportunities to the regions as well as providing assistance and support for the innovative composite industry. 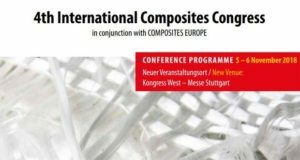 In total, the Conference was attended by 250 experts of composite industry and industries – consumers of composite products. 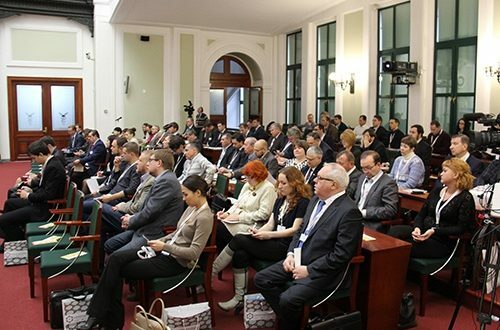 The attendees enjoyed lively and busy atmosphere of the Conference, they had an opportunity to find out about federal and regional support measures, prospects and opportunities of the “single window” for the state corporations, the first results of the creation and development of import substitution industries. 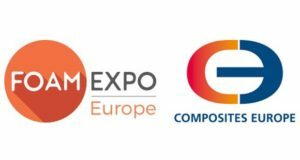 The event summed up the results of the year and determined a direction of the composite industry in Russia for 2016 and subsequent years.